Join us the week of August 12 for our annual Summer Shorts in Instructional Technologies program, which focuses on leveraging innovative online teaching strategies and NC State learning technologies to improve student success. We are now accepting session proposals for our face-to-face and online days! 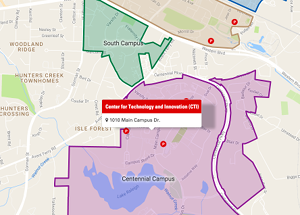 For assistance, contact DELTA’s LearnTech help desk at learntech@ncsu.edu or 919.513.7094.